A short time ago, my friend Barbie helped me with a major project. She was prompt, professional and prepared. And when the project was completed, she stayed to help clean up. She was an angel when I needed one. Since she would not accept payment from me for her work, I asked if I could please make a special dessert for her when she needed one. This offer was acceptable to her and the other day Barbie called to ask if I would make a fruity dessert for her son’s birthday. A fruity dessert? That sure sounded like a pie to me and so today I went shopping for some fresh fruit. At the Ashland Food Coop I noticed the raspberries first – plump and brightly colored – they called out to me. 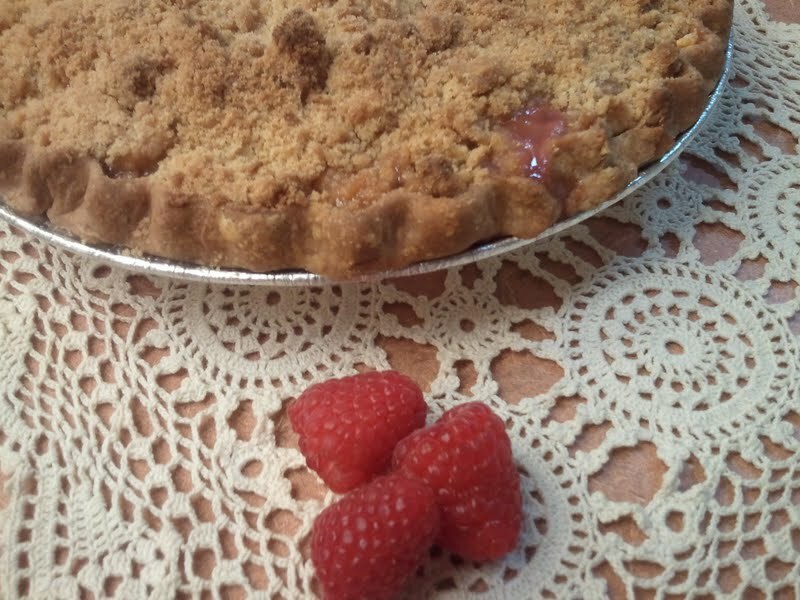 But I didn’t want to make a pie with only raspberries and so I kept shopping. That’s when I saw the peaches and right away I knew what I was going to do. Once home, I peeled and sliced the peaches. 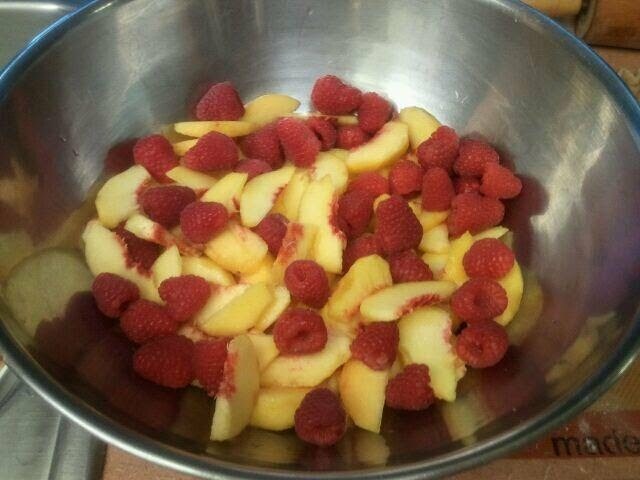 Next, I added the raspberries to the bowl. I have to admit that it already looked yummy! Then I added sugar, flour and a dash of nutmeg to the fruit and gently mixed it all together. 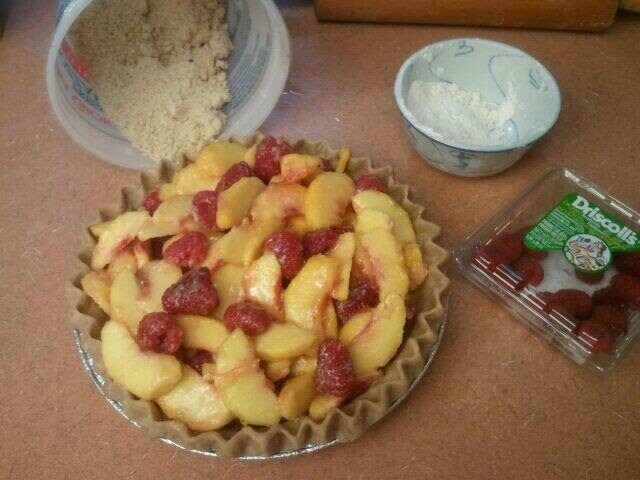 I put this mix into the pie shell that I’d prepared. In about an hour, I took the finished pie from the oven. It smelled divine! Tonight I send heartfelt birthday wishes to Barbie’s son. May this be his best year yet!